Back when we tore out a wall to create a family entrance, we ended up with a bunch of junk drawers and some wall panelling. 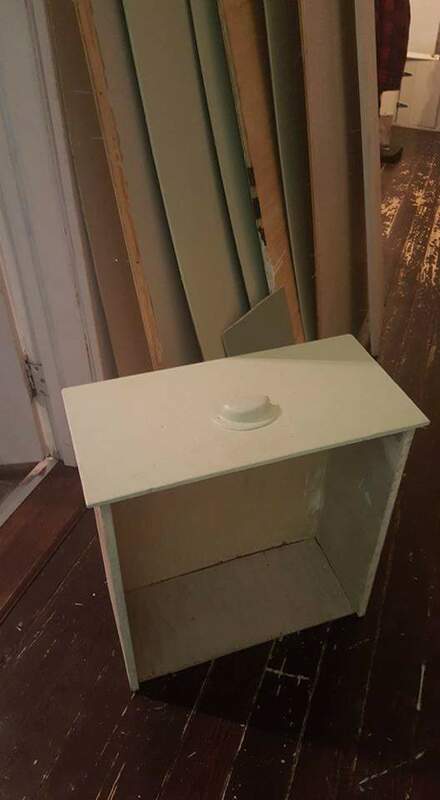 I decided to get crafty and use them to make a little extra cash return on the reno. 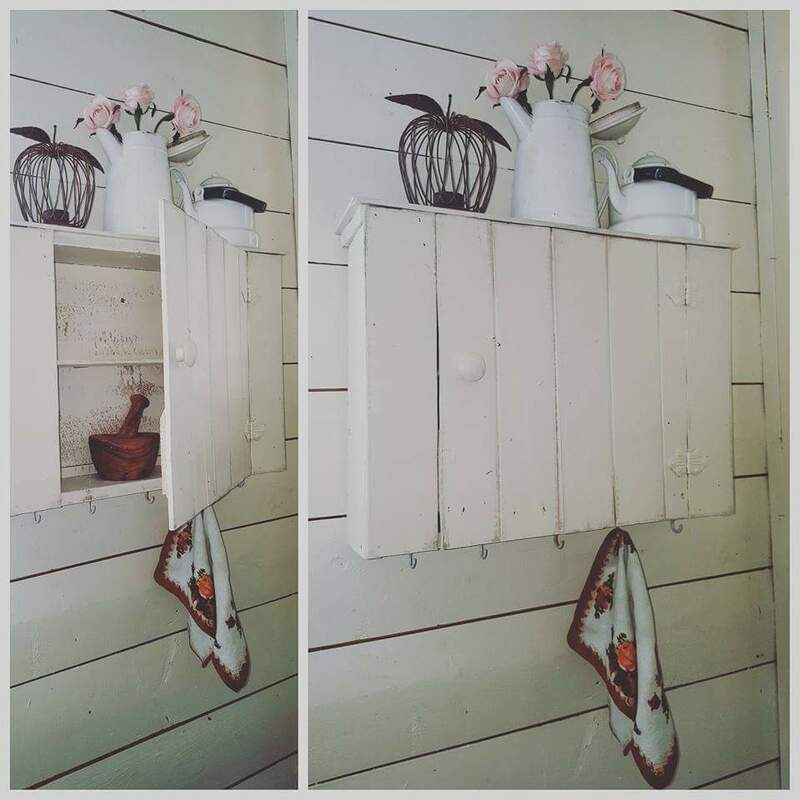 I turned them into prim-inspired wall cupboards! It was really so very easy I didnt think it was necessary to photo-document the process. I literally cut a piece of wood and screwed it into the drawer as a shelf and then I just cut panelling to fit the top of the drawer as the ‘face’ of the cupboard. 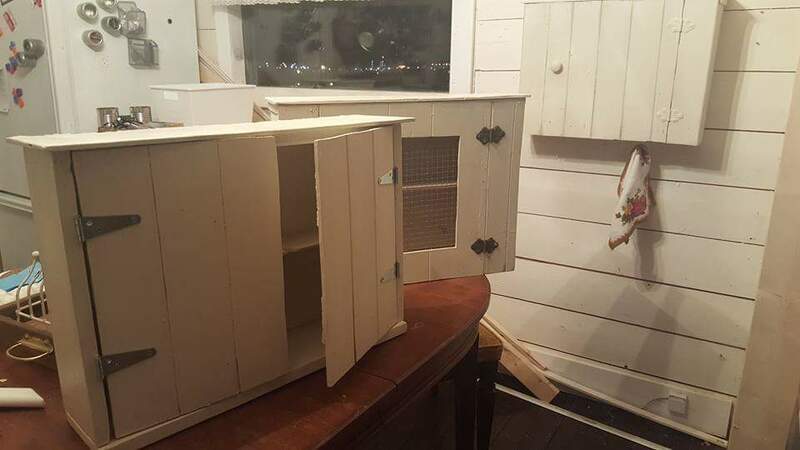 I did a few different styles but the one with the wire-fenced opening is my favorite so I kept it and sold the others! Looks great! I love all the white too! Now that is a great repurpose of old drawers! 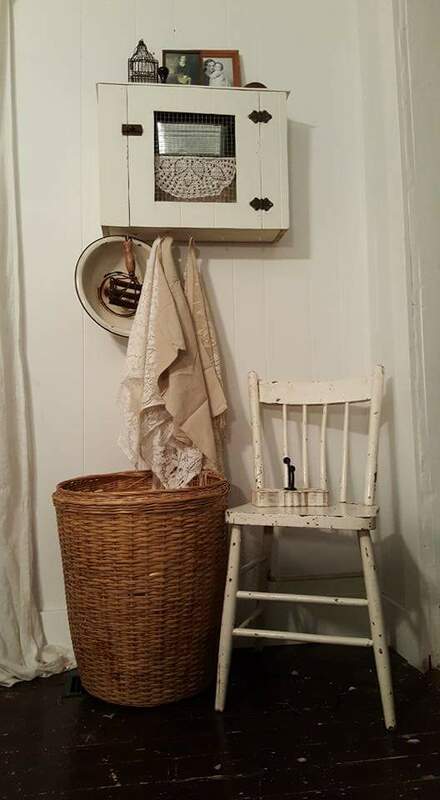 Love it, the color you painted it is such a great neutral that no matter what you put on/in it it will just stand out. You did a great job! If you have time please share this post and two other favorites you have at my link party. I think my 4 co-hosts and followers would love to see this. It just went live an hour ago. http://www.rustic-refined.com. If not, no biggie Have a great day!